Known for his captivating voice and energetic stage presence, Prince Jabba has been developing and perfecting his craft of singing and songwriting for many years. Born in Westmoreland Jamaica, a diet of reggae and other Caribbean music was an integral component in his musical deveopment. With a wide vocal range, Jabba has mastered many styles within Caribbean music including DJ sytles and soca music. His performance is captivating as he jumps and whirls around the stage engaging the audience with his antics. Definitely a musician to watch, Jabba brings a great flare to the stage as he fronts the Socaholix. Perfecting his art over the past 20 years has resulted in two recordings, the first Loverman (2004) is an eclectic compilation of international reggae vibes. This recording is available through CD Baby. The second recording entitled Headstrong is currently in post production and will be available soon. 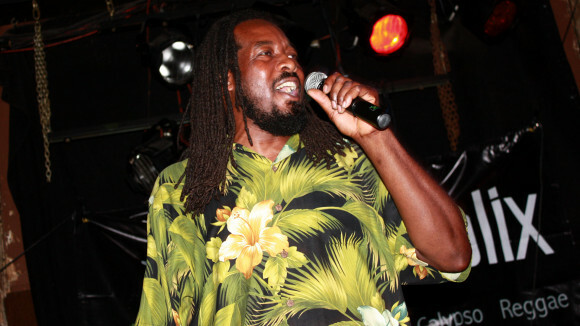 In addition to performing with the Socaholix, Jabba is the lead singer for Les Exodus, a well respected reggae band based in Minneapolis.